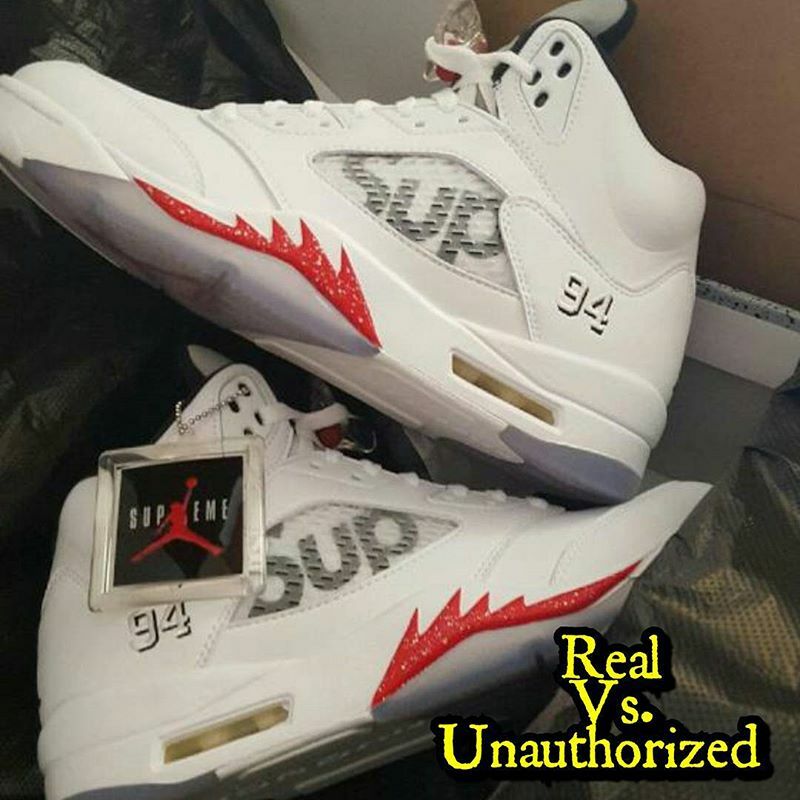 After inspecting the "Camo" and "Black" colorways, here's a rundown of the differences between legit and unauthorized pairs of the "White" Supreme x Air Jordan 5 Retro. Following its highly anticipated release, the Supreme 5 is reselling for $500-$550. Replica manufacturers are looking to cash in, so check out these tips from Fake Education for safe buying. 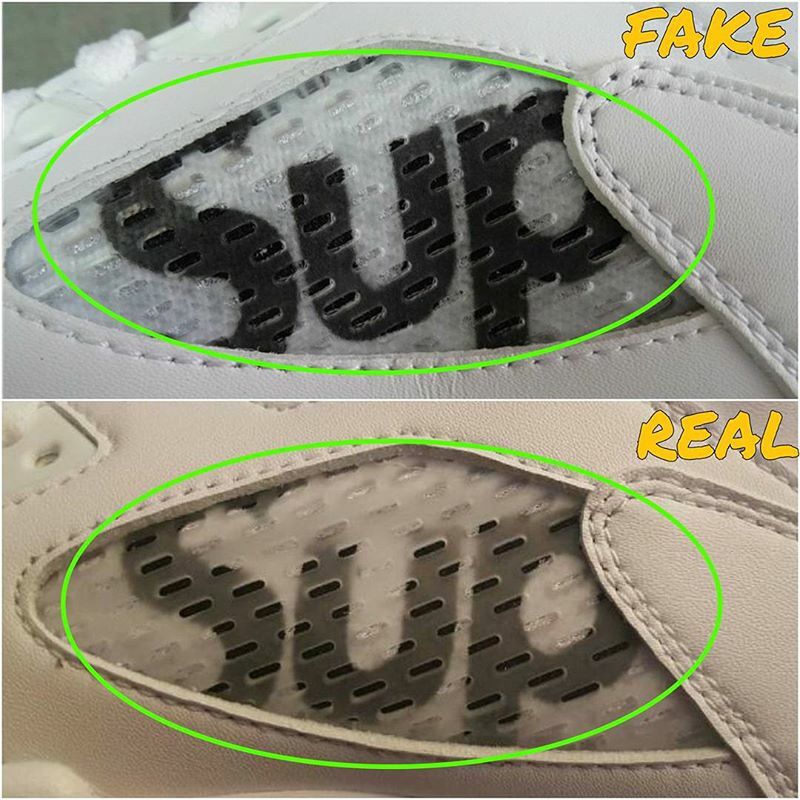 Fake Education: "The lace lock is a little cloudy on the fakes — also the "SUPREME" is bolder on the fakes." 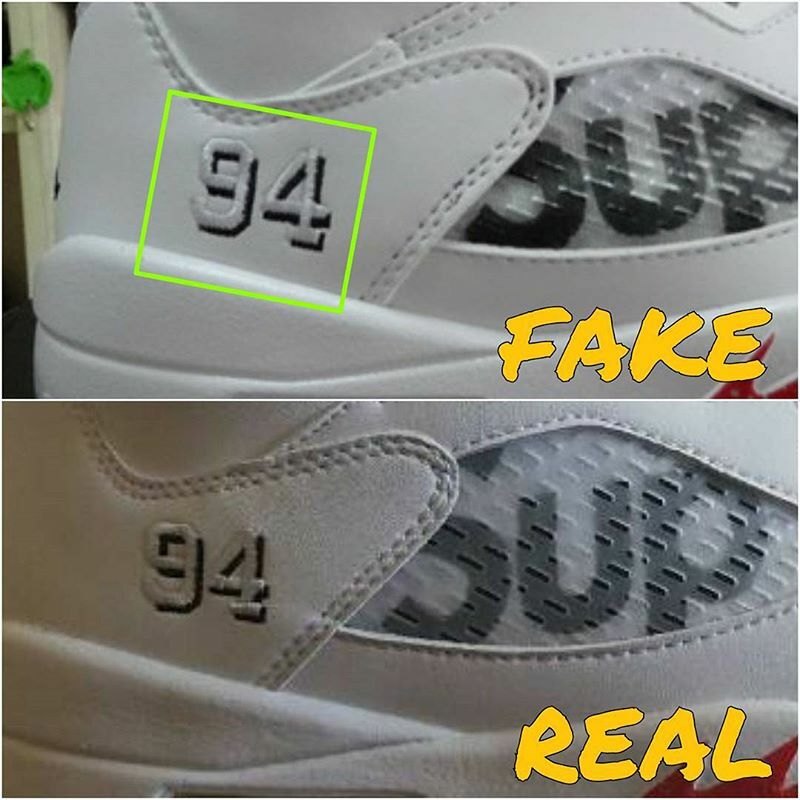 Fake Education: "The separation between the Air Jordan and Supreme tags on the inside of the tongues is a lot larger on the fakes. 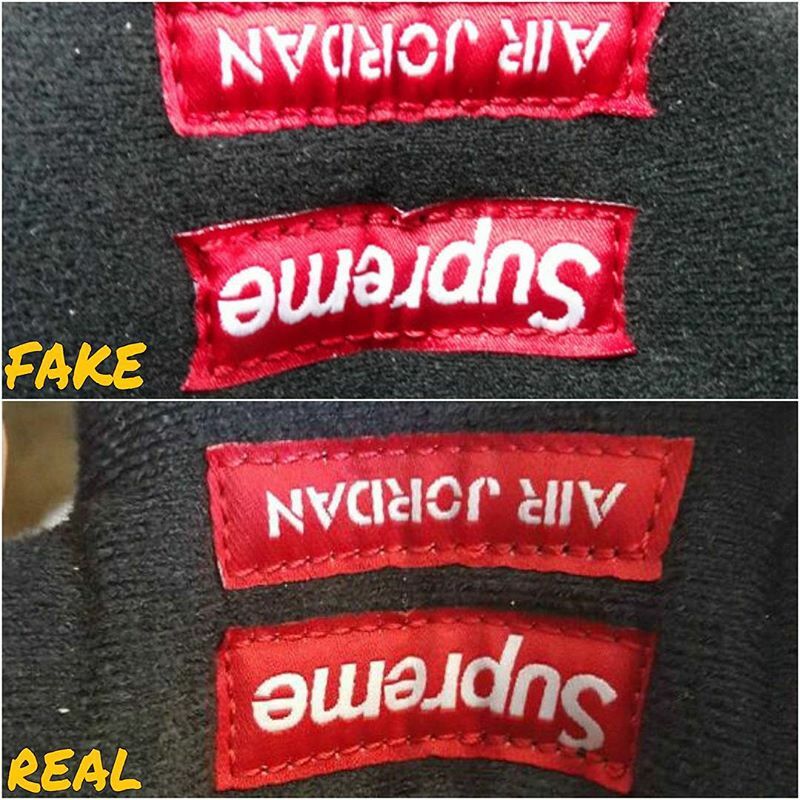 Also, you can see the craftsmanship and quality of stitching and the tags is nowhere near as clean on the fakes." 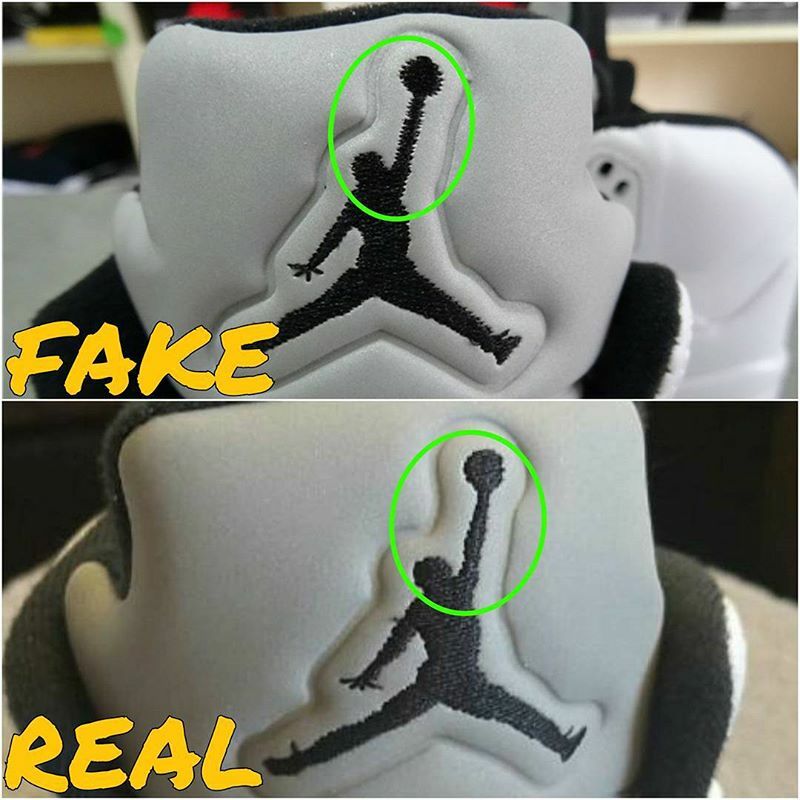 Fake Education: "The outsole of the fakes is different. 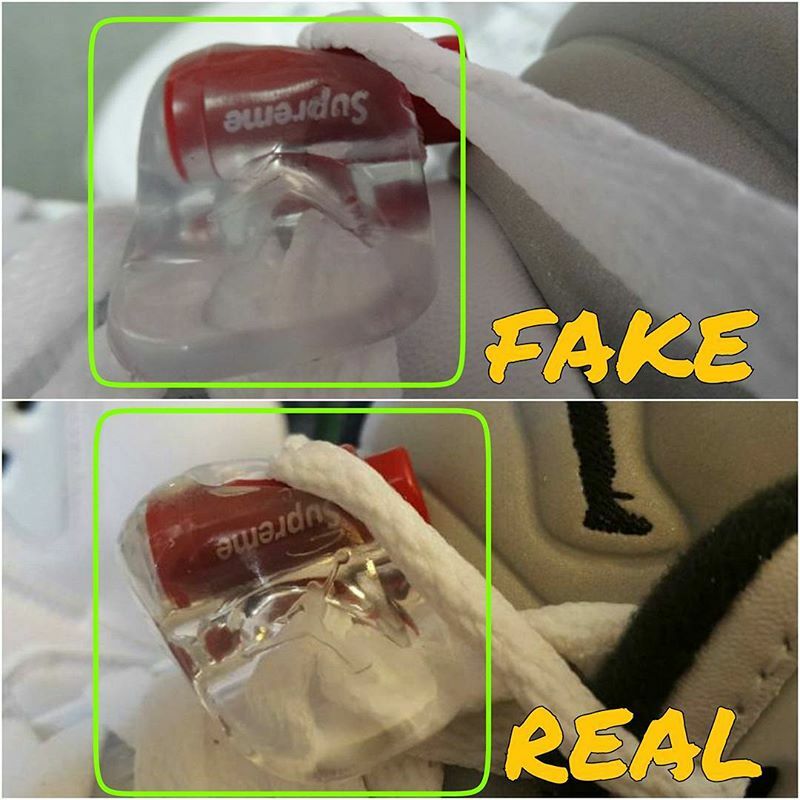 The fakes feature more of a clear translucent outsole, while the real pair features a more icy sole with a touch of a milky look so it's not as translucent." Fake Education: "The stitching of the Jumpman is a lot cleaner and smoother on the retail pair. The fake pair looks like there is static, as if the machine was shaking while it was being stitched." 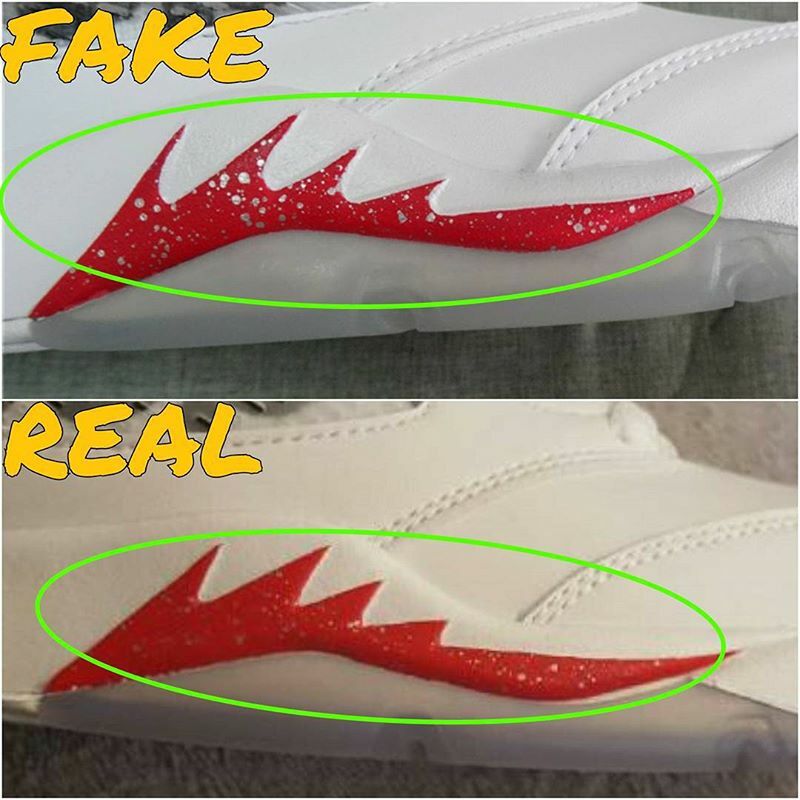 Fake Education: "The red teeth are a lot more full and thick on the retail pair. Notice how thin and sharp the teeth are on the fake pair." Fake Education: "The '94' is a lot closer to the midsole on the fakes." 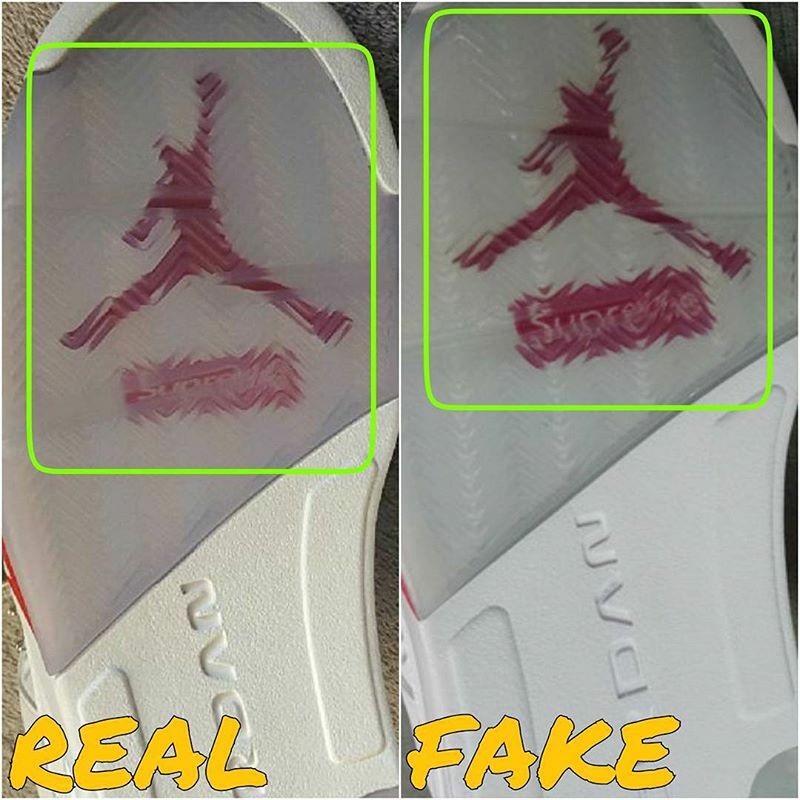 Fake Education: "The mesh used on the fakes is clear translucent, while the mesh on the real pair is milky. This changes the look of the color of the 'Sup,' the fakes the 'Sup' pops with a deep black. But since the retail pair has a milky mesh, the 'Sup' looks very dull."